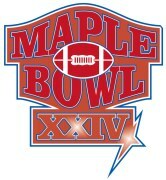 2003´s Mermaid Bowl faces the same opponents like 2002, Avedere Monarchs and Roskilde Kings. And again the winner of the final was Avedere. Both clubs establish their annual presence in tha Danish Championship Final one more time, a result of a good seniors coaching work and european experience. Mermaid Bowl 2003: October 4th, Copenhagen. In a fascinating game Arlanda Jets did beat Carlstad Crusaders by 7:14. Before the game started one decision was obvious: Sweden will have a champion never have won the title before. The old record champion, Stockholm Mean Machines was beaten already in the semi-finals. SWEDISH FINAL: Carlstad Crusaders vs.
Nowadays there is a complete new situation in American Football scenery in Sweden. 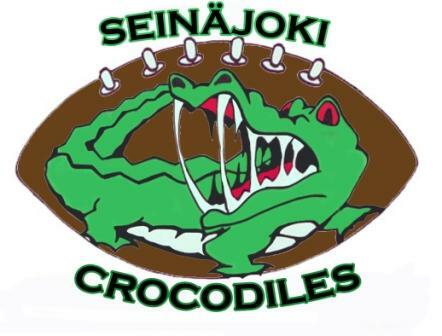 Stockholm Mean Machines, Swedens record Champion, is neither champion nor even in the final. Now we are facing Arlanda Jets and Carlstad Crusaders. The last club showed up in european Football in 2003 first time. In a fascinating game the Turku Trojans win their first national title. It was the ninth attempt for Turku to win the Maple League title in Finland. The best teams of the last two years in Finland did play the final. Hopefully we see the teams next year in european club team competitions. 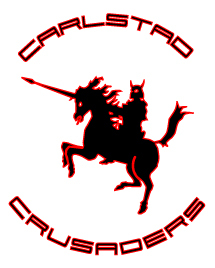 Press Release from Carlstad Crusaders American Football Club: Crusaders clinch first place in Swedish regular season. It was a dominating season of the Carlstad club. 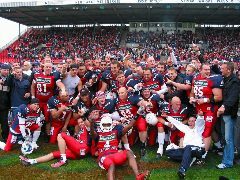 Even the record champion of Sweden, the Stockholm Mean Machines lost by 22:9 their last season game, going now into the Playoffs. Prague Panthers versus Prague Lions: a long story. In the tenth edition of the Czech Championship the Panthers could beat the Lions. It was a close game, but this was not unexpected. The Lions could beat the Panthers during the season in the competition. 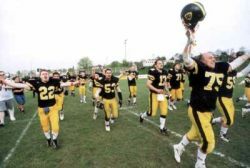 After their first win in 1999 against Hamburg the Lions could win their second european title against the Vienna Vikings. 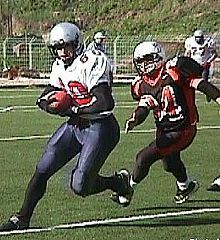 The Austrians, having beaten the defending champion Bergamo in the Semi-Final, were the tough opponent expected by all experts. FINAL MERCEDES-BENZ EUROBOWL XVII CHRYSLER VIKINGS VIENNA vs BRAUNSCHWEIG LIONS JULI 5th 2003 – BRAUNSCHWEIG One thing is for sure before the final game in this years Eurobowl Tournament XVII: There will be a new champion after three years which saw the Bergamo Lions winning Europe´s crown for club teams in consecutive times. Chrysler Vienna Vikings dominated the game during the first three quarters leading 20:6 versus the unbeaten European and Italian Champion Bergamo Lions. The game switched and suddenly Bergamo did make the 27 to 20.